Almost every day I decide that I stop collecting. I have already done away almost all my valuable stuff, but I still collect all kinds of things that have little to no value. The records are only a small part of the problem. And of course, the stuff is not the real problem, it is me who is the problem. I should not use the word “collect”, because I simply accumulate everything that happens to come my way. Today I took a closer look at my collection of left-over pieces of paper. 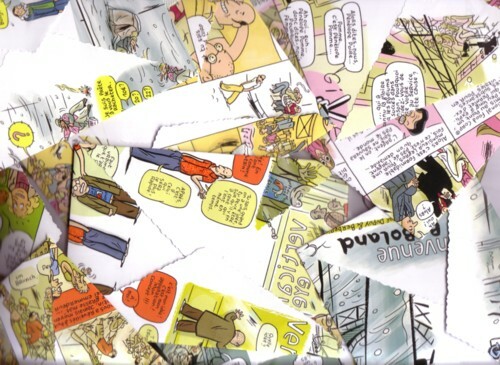 Not only paper that I bought in the past 30+ years, but also much paper that I was given, that I found on the street or that I cut out from larger sheets of paper. I hate to throw away paper. The reason for opening some boxes with my pper collection was that I wanted to show our daughter how to make A6-sized envelops of A4 sized sheets of paper. I spend quite some time figuring out how to do that and I learned how to make an envelop within a few seconds. 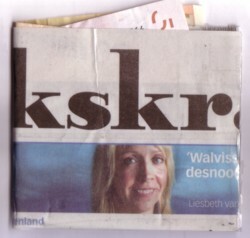 You can buy 50 envelops for 1 euro, so there is no real reason to make my own envelops. And apart from that, I will never use all these envelops. But this has nothing to do with money or with anything practical. I do it because I love doing it. 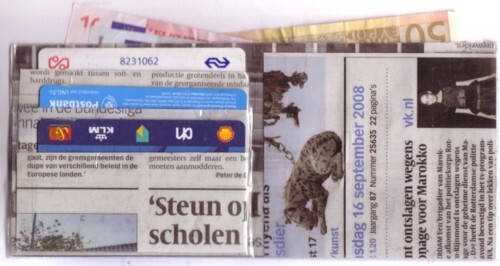 A while ago I started another little pet-project: trying to make wallets out of newspapers. If you really want them to be used, it is not easy. But today our daughter was sick, and we spend some hours with paper, scissors and glue, and I could puzzle a bit on my newspaper wallets. I still have some problems to solve, but it is slowly beginning to look like something. For today’s soundtrack I picked a song from a compilation that I made for Jules, a 13 year old son of friends. 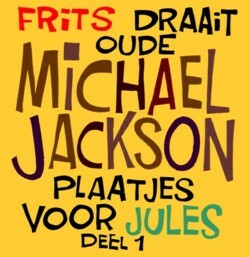 He liked Thriller, so I offered him to record some of my old Michael Jackson/Jackson Five favourites.